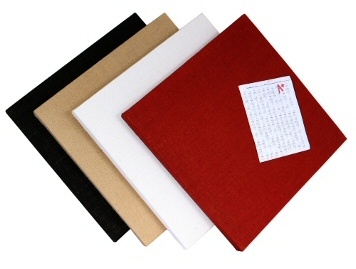 ATS Tackable Acoustic Panels are the perfect combination of a tackboard and a high quality sound absorber. We take the same core material used in our standard acoustic panels and add a special high density layer that creates a surface with good tackability while still maintaining the impressive acoustical performance you expect from ATS Acoustics. These panels are ideal for classrooms, conference rooms, offices, and any other space that needs sound absorption and a tackable surface. Manufactured and sold by ATS Acoustics, a division of ATS Commercial Group LLC. 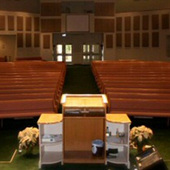 ATS Acoustical Treatments of 24x48x2 acoustic panels in natural fabric at the Indio Apostolic Church.